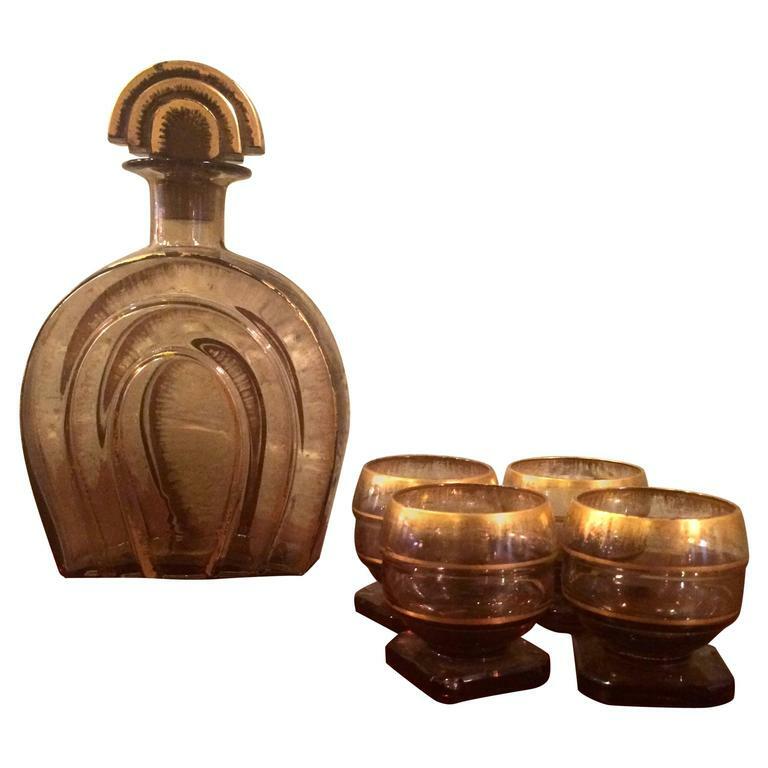 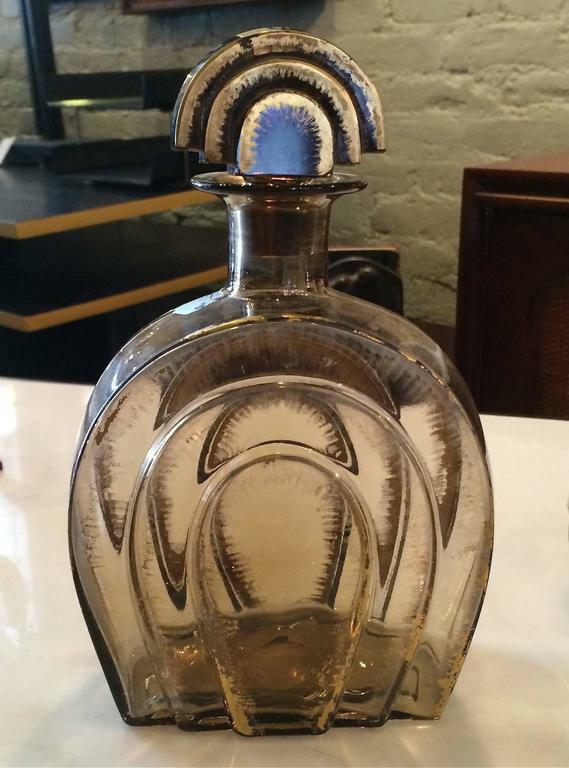 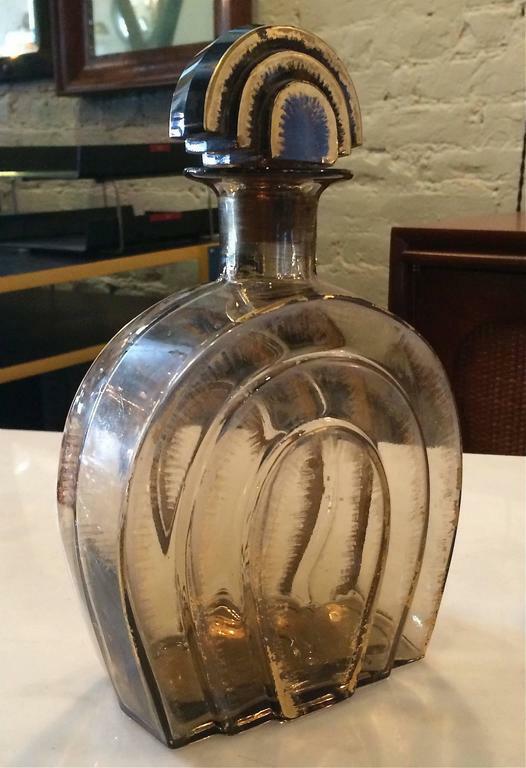 Handsome, Art Deco, smoked glass with gold accents, decanter set with four cordial or aperitif glasses. 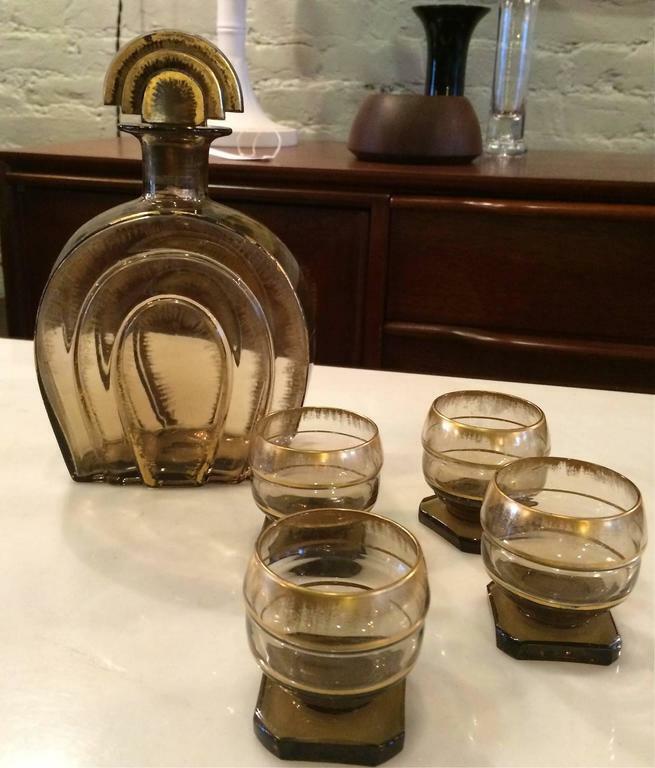 Measures: Decanter: 5" W x 8.5" H, glasses: 2" W x 2" H.
Handsome set of three, Mid-Century Modern, colored cocktail glasses in smoke, aqua and cobalt feature distinct, faceted stems. 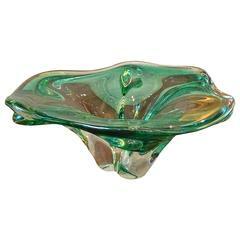 Free-form, green, Murano glass, candy dish or bowl.